Mung Bean sprouts are rich in protein and vitamins C and B complex. I added these to the regular pappu to make it healthier. It tasted so delicious too. Wash and pressure cook toor daal for 3 whistles (until cooked). Meanwhile, grind ginger + green chilies + coconut powder into a fine paste. Heat oil in a pan/bowl and add mustard seeds. When they splutter, add cumin seeds + ginger paste + tomatoes + curry leaves + asafetida + turmeric and sauté well for some time. Then add chopped bean sprouts and pour little water and allow the sprouts to cook for some time and become soft. Later add cooked daal and mix well. Add salt as required. Keep it on low flame until bubbles are formed on top, mix well and turn off the flame. Finally add chopped cilantro and mix well. Enjoy this yummy and healthy pappu with rice or chapathis. Check out my daughter’s blog where she blogged about 2 beautiful Mother’s Day Poems that she has written for the Mother’s Day. Nice idea to combine sprouts and dal. Never cooked this way. Love the idea of using bean sprouts with paripuu. Comforting food, healthy and absolutely looking delicious..
Dal looks so comforting! Wish to have this right now with steamed rice! Thats a really healthy and delicious dish! Lovely Uma! Looks so healthy and delicious! Wow.. pappu looks healthy and delicious.. as usual mouth watering clicks..
Ur daughter is really talented.. Lovely name.. CHAITRIKA..
New to me,,dal looks very nice and healthy .. have bookmarked !! wonderful poems by your daughter. 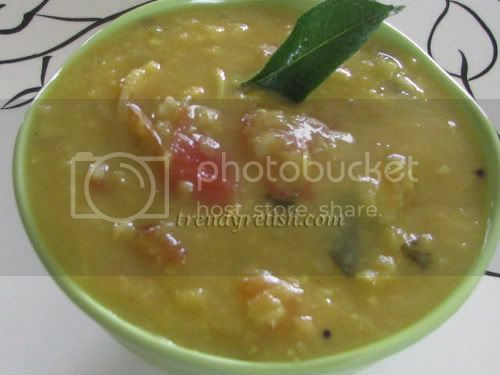 Yummy and healthy dal. I have never used sprouted mung beans other than in Chinese food. Using it in dal is very interesting. That's a great idea, Uma! I never thought of combining sprouts with dal. Very nice, lovely, healthy and delicious dish. Looks yummy and tempting. There is an award waiting for u in my blog! !..please collect it! very healthy dish... looks good..